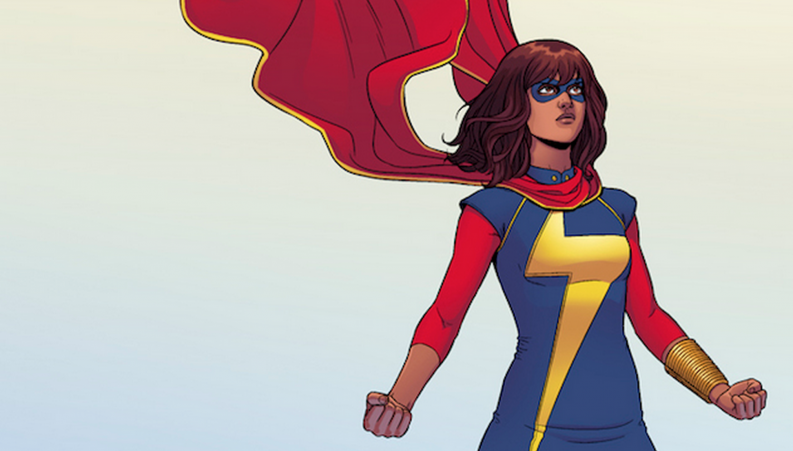 Ms. Marvel, by G. Willow Wilson, which features a female Muslim superhero, has been a big hit for Marvel Comics. As discussed on OZY.com, Millennial women are using their buying power to show what they want and what they want are “characters as diverse as they are.” Millennial women are over the roles of women as “side-kick” or “suffering woman-in-distress” and are ready for some proper heroes. Even independent web-based comics are now competing with DC and Marvel just because females are the superhero lead. Note: This post was updated on September 18 to reflect that the statistic of 53% was not a firm number of actual readers, only potential readers, as per the comment by Graphic Policy.